This renovated shepherd's house pre-dates the 12th-century and is now a perfect holiday house, standing peacefully on the ramparts at the heart of the medieval perched village of Cornillon-Confoux. 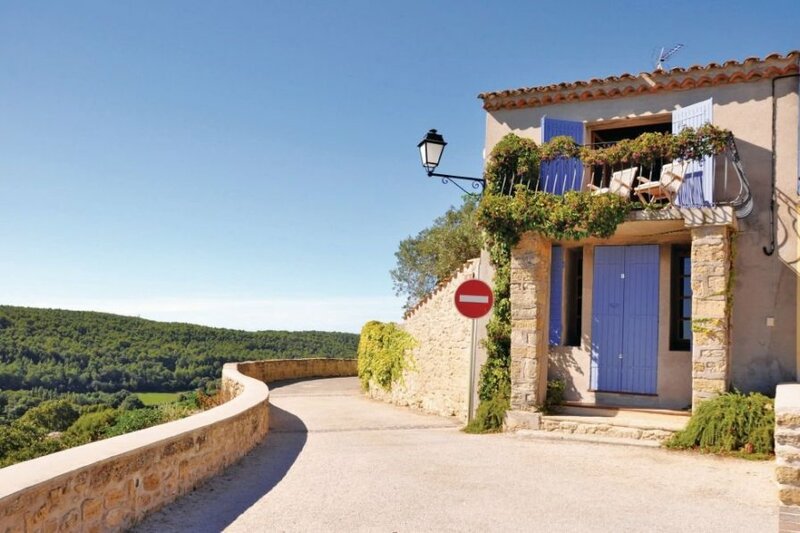 This renovated shepherd's house pre-dates the 12th-century and is now a perfect holiday house, standing peacefully on the ramparts at the heart of the medieval perched village of Cornillon-Confoux. With character features that include an open fire, and a balcony with spectacular views over the countryside towards the Etang de Berre, this detached holiday home is comfortable and inviting. You will be ideally situated to experience all the beauty of this region and discover many wonderful sites. Salon de Provence (13km) is a lovely city with many parks, fountains and medieval monuments to visit, such as the house of famous scientist Nostradamus. If you prefer a more glamorous atmosphere, make sure to visit the beautiful Aix en Provence (40km) where you can stroll on the splendid Cours Mirabeau and visit the Centre Caumont where exceptional exhibitions are held all year long. And if you feel like sunbathing by the sea, the beaches of the Etang de Berre, Sausset-les-Pins (55km) and Carry-le-Rouet (52km) await you. This villa is made from brick or stone. The agent has rated it as a three star property so it is a well-kept villa, equipped with standard furniture. It is also good value for money. The villaIt is located in Cornillon-Confoux, only 13km from Salon-de-Provence. It is set in a good location: there is a restaurant only 200 metres away. The villa has free wireless internet. You can also park in the garage on-site at no extra charge. The villa is well equipped: it has a refrigerator, microwave and dishwasher.